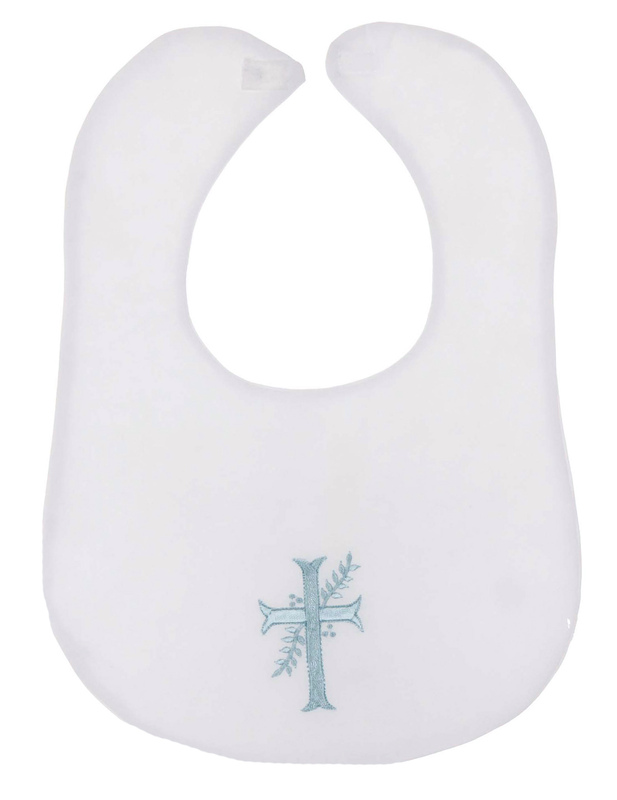 This beautiful little cotton blend white bib is made by Rosalina, a leading designer of quality children's apparel. It features an embroidered blue cross. The bib has a velcro closure at the back neck. The perfect accessory for your baby boy's christening, baptism, or dedication. 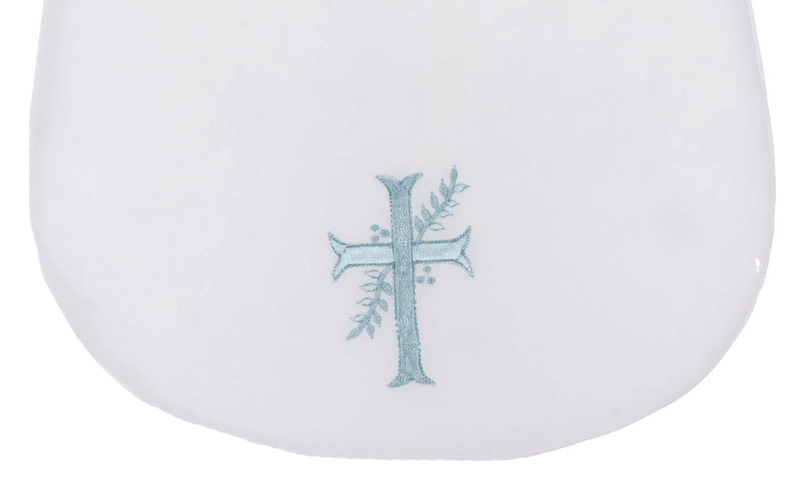 Top to bottom = 11½"
Also available with pink or white cross. See below.